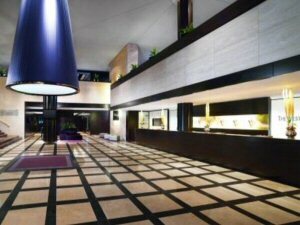 The Westin Leipzig Hotel is situated in the heart of the city centre only a short distance from the main train station and close to the Leipzig Zoo. 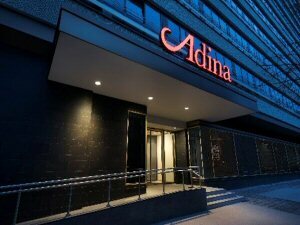 The Adina Apartment Hotel Leipzig with 116 rooms is situated in the centre of Leipzig, within a 3-minute walk of Leipzig Main Station. 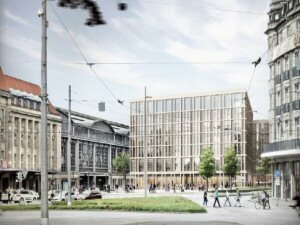 From autumn 2019, the new Hyperion Hotel Leipzig will welcome you centrally and directly at Leipzig Central Station. In this hotel complex full of character, 189 rooms for business travellers, conference participants, trade fair visitors and city travellersare being built. Open, lively and pretty cool – that's Vienna House Easy in Leipzig. 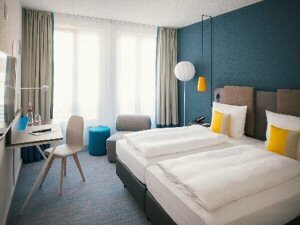 The hotel with the smart casual design is located in the centre of the city, near the train station, and is both a living room and creative meeting place for locals as well as guests and city trippers. 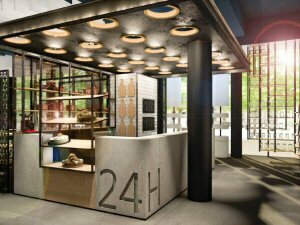 In autumn 2019 the new H2 Hotel Leipzig will open in the immediate vicinity of Leipzig's main railway station, directly in the city centre. 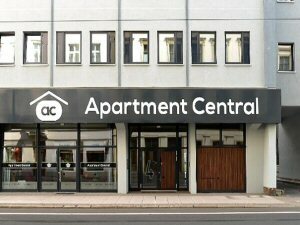 337 modern and comfortable rooms are available for price-conscious travellers in this stylish budget hotel. The brand new Boardinghouse in Pfaffendorfer Straße 4-10 opened in spring 2016 and is located between main station and famous Zoo Leipzig. – only a 4 min walk to the congress venue: "Kongresshalle am Zoo"!